We honestly have very little idea what Jesus Christ looked like. We worship Him as the visible image of the invisible Father, and yet we do not know what that visible image looks like. What kind of visible image is that? We know what the paintings of Him look like, and they generally all have something in common with one another, but the fact remains that if you ever passed Jesus Christ on a crowed city street, you would have no idea that you had done so. I mean the way God intended for us to recognize Him—in and through the proclamation of the gospel. We are supposed to see the face of Jesus Christ in and through the declaration of what Scripture describes as good news—gospel truth. This is where we are supposed to find the only authorized portrait of Jesus. This is how portraiture of Jesus is designed to work, and for us to suggest a sketch or a painting or a statue is not a help or a supplement to what God has actually given us. Over time, our unguided and unauthorized endeavors will necessarily function as a replacement for what God really did provide for us. To understand why this is so, we need to consider carefully what the Bible teaches on the subject. The text this morning is the passage that is engraved on my mother’s tombstone, where it preaches eloquently. “For God, who commanded the light to shine out of darkness, hath shined in our hearts, to give the light of the knowledge of the glory of God in the face of Jesus Christ. But we have this treasure in earthen vessels, that the excellency of the power may be of God, and not of us” (2 Cor. 4:6-7). So the God of Scripture is the God of all creation. He is the one who spoke, as it is famously said in Genesis, “in the beginning,” and He is the one who began that great act of creation by commanding the light to shine out of darkness. Nothing is plainer than that God created by speaking. He said, and it was done. He spoke, and it was accomplished. He said the word, and all the mountain ranges, and the oceans, and the great forests, and the galaxies, all took their places. Now when God commanded, when He spoke, it was obviously His Word that He spoke. So the command—let there be light—is therefore the eternal Word, the one who would later be incarnated and given the name of Jesus. The commanded light is the one who became the light of the world. The one who was later from Nazareth was earlier than that, before all ages, from eternity. God spoke this Word from all eternity, and when God determined to create the heavens and earth, He spoke this great achievement through this same Word. And so it came to pass that the same one who thunders in the skies above us was the one who cried helplessly in a manger. The same one who feeds the world was fed Himself at Mary’s breast. This is why we are told in multiple places that Jesus was the agent of God’s creative acts. He was the executive. “All things were made by him; and without him was not any thing made that was made” (John 1:3). In these last days, God has “spoken unto us by his Son, whom he hath appointed heir of all things, by whom also he made the worlds” (Heb. 1:2). “For by him [that is, Jesus] were all things created, that are in heaven, and that are in earth, visible and invisible, whether they be thrones, or dominions, or principalities, or powers: all things were created by him, and for him” (Col. 1:16). So God created by means of His Word, and Jesus is that Word. And we see that Genesis represents God creating by means of His speaking. God spoke the creation into being—this world being God’s spoken word—and so Jesus is “the speaking” that brought the world into being. This is not some arcane theological deal, or deep philosophical weirdness, wherein we gesture helplessly toward matters far greater than our capacity to understand. No—even though it does transcend our understanding—this is an intensely practical matter for us. This is because what God did at the creation of the world, He also does at the new birth of every genuine believer. This is what characterizes the true Christian—the kind who is going to Heaven when he dies. This is the man or the woman or the child to whom this miracle has happened. Whenever someone is truly born unto God, this great creational event has happened yet again. This is what the new birth actually is—it is a recapitulation of the creation of the whole world, a re-creation of all things in the microcosm of a solitary human heart. You have perhaps heard of engravers who can inscribe the Lord’s Prayer on the head of a pin. That is indeed impressive, but it is nothing compared to what God can do—He can inscribe His entire cosmos, heaven and earth, on a human heart. He can do again what He did before, and He can do it millions of times. That is how He is going to populate Heaven—He puts Heaven into us before He puts us into Heaven. God spoke, and whenever God speaks, the Word He speaks is Jesus. So when God spoke Jesus into the darkness of our unbelief, He did so in a way that gives us the “light of the knowledge of the glory of God in the face of Jesus Christ.” Because He does it through the Word, He is pleased to do it through words—and these are such words. Our preached words are attendants and servants of the true and ultimate Word. They are called to do as He commands. So the God who commanded light to come out of the darkness of inchoate matter is the same God who has commanded light to shine out of the darkness of our iniquity and sinful rebellion. This light is defined in our passage for us—it is the light of the knowledge of the glory of God in the face of Jesus Christ. Notice that last phrase—the face of Jesus Christ. This is the good news, this is the gospel, and this is the authorized portrait of Jesus Christ. This treasure, this light, this portrait of Jesus, is contained within earthen vessels—clay pottery. Think of a plain earthenware pot lying on its side, with hundreds of diamonds tumbled out across the table. The reason God did it this way is so that nobody might ever mistake the source of the great power involved. Nobody could ever look at those diamonds and think about how wonderful the pot must have been. The amazement would necessarily run the other way. What was that treasure doing in those earthen vessels? So when God created the cosmos out of nothing, it was apparent that He was the only possible Creator involved. There was no other creation-partner available—nothing outside of God existed. Before the creation there was only the Creator. So the Creator did not need, and did not look around for, anyone to help Him. The same truth is evident in the glory of the new birth. When God created us anew out of the darkness of that self-absorbed black hole that sinners celebrate as the self, there was no way that we could help Him. The only thing we contributed to the creation of this light in our hearts was the darkness that was overcome by that light. He is the great painter and all we provided was a canvas full of dark nothingness. All we provided was a mess, formless and void. Now what does this have to do with pictures of Jesus? How does this relate to the face of Jesus Christ? We are not told to avoid portraits of Jesus. But we are told how to paint them. He is the eternal Word, and this is why words are the medium that God insists on using—whenever He is pleased to use it—to create the light of the knowledge of the glory of God in the face of Jesus Christ. Notice how similar this language is to the expression he uses in the next breath, in verse 6, and consider what this gives us. The god of this age has blinded the minds of unbelievers. We are to reach these blinded minds with gospel words. In order to be seen plainly, as designed, the portrait of this Word must be painted with words, and this is so that the light brought by those words might reveal the glory of God in the face of Jesus Christ. The parallel structure of verses 4 and 6 helps us to fill out some of our definitions. Obviously, blindness and darkness match. And light goes with light, and shine goes with shine. Blind minds goes with dark hearts. Glorious goes with glory of God. Knowledge matches up with gospel—so clearly the knowledge of the glory of God is a specific kind of knowledge, communicated with words. It is knowledge of the gospel. The last set of phrases that we should line up would be “Christ, the image of God” and “the face of Jesus Christ.” This is a juxtaposition we need to meditate on. Christ is the image of God, and in the gospel we see that image, we see the face of Jesus Christ. His face is the image of God. Now mankind was originally created in the image of God (Gen. 1:27). Our rebellion against His prohibition at the tree of the knowledge of good and evil was a rebellion that marred the image of God significantly, but which did not destroy it entirely. Centuries after this great disobedience, God required the death penalty for murder, and the reason for that requirement was that man is created in the image of God (Gen. 9:6). So the image of God in man is clearly still present. It is nonetheless a great shambles, a ruin, such as what we might find if a glorious cathedral collapsed in upon itself. We would be able to make out the outlines of the former sanctuary, but it would be entirely unusable. It is there, but it is also, in another sense, not there any longer. This is why Jesus came to be the new man, the Adam of a new humanity. Jesus came to restore the image of God in man, and so it is that through Christ, through the gospel, we can see that image being restored. We find this in the face of Jesus Christ, and that is the only place where we can find a new humanity. He is that image. He is the restoration of humanity, and we join in with that great project of restoration as we are joined together with Him by faith. Whenever we come to Him, we are picked up by Him and taken in. He becomes our fortress. He is our garrison. He is our salvation. But the metaphors of walls and fortresses does not do it complete justice. We are given union with Christ, and that union is organic, life-giving, and personal. To the extent we are being built into a great building, or Temple, or City, it is as living stones. The whole thing is alive, and it is an everlasting life. So we have consider the importance of words. But we are not done. There are two more essential things from our text that we have to ponder. The next is the role of the Spirit of God. When God first created the world, His Spirit hovered over the surface of the great deep (Gen. 1:2). When God brought about the Incarnation of Jesus, the God/man, in the womb of Mary, He did it by means of His Spirit overshadowing her (Luke 1:35). And when the new birth comes to an individual, it is because the same Spirit is working on the words of the gospel in that individual’s heart in an analogous way. When this occurs on a larger scale, when reformation and revival come to a culture, it is because that same Spirit descends upon the words of the preachers in the midst of a people. When the Spirit works with the words of gospel proclamation, then we have the light of the knowledge of the glory of God in the face of Jesus Christ—and we can have this particular glory no other way. We must see Jesus in order to be saved, and we can see the portrait of Jesus in no other way. When the Spirit moves in power, then we have the removal of intellectual blindness, so that the light of the glorious gospel of Christ, the very image of God, might shine in the hearts where that shining is most needed. When the Spirit moves in power on these words, then we see Jesus. So words are necessary, but words are not enough. Dull words, words without power, words that shuffle along in a quiet and orthodox fashion, are not sufficient to paint this portrait. They are just as inadequate as brushes and chisels are. In fact, they are frequently far worse, and this is why a listless and orthodox preaching is often a provocation to those who desire to see the face of Jesus Christ. There are unfortunately many orthodox sermons where seeing the face of Jesus Christ through them is less likely than finding the image of His face in a recently fried tortilla of a pious Mexican woman in Guadalajara. Such sermons are, as one ancient wise man once observed, discourses that are equally free of vices and virtues. When the bland lead the bland, they both fall into apathy. Nevertheless, the words that God loves to use in this regard are given to us in Scripture, and we are told to declare them. We cannot whistle up the Spirit by declaring these words, but we can rest assured that the Spirit will not anoint anything else. The Spirit blows wherever He wishes, and we cannot tame Him with our doctrinal formulae or our homiletical efforts. But we can obey Him, and we can arrange the wood and the sacrifice on the altar as He has required, and then wait prayerfully for the fire to fall. The eternal Son of God became the God/man in Jesus of Nazareth. He was born of a human mother so that He would truly be one of us. His Father was God the Father through the Holy Spirit so that He could usher us back into God’s glorious purposes for the human race—the purpose that our sin had derailed—and that purpose was union with God through Christ. That purpose was to rebuild the collapsed cathedral, to make it new, and far more glorious than the original had been. Because He had a human body now, the immortal Son of God could now die. He took on the limitations of a physical body so that He could face the great limitation of a grave. He was given a body so that He could turn around and give that body to us in His death. He was given mortality so that He could give us immortality. He lived a perfect, sinless life—meaning that His death was not a just return for any of His own sins. In order to be our sacrifice, He needed to be an unblemished sacrifice. He lived a perfect, sinless life so that the new humanity might have an identity beyond the status of merely “forgiven.” We not just forgiven. In Jesus Christ, through His entire life, we are obedient. At the culmination of His life, He was challenged by the powers that be, the religious and political authorities who instinctively knew what a dangerous threat this man was to their way of doing business. They wanted religion to be a matter of credits and debits, and regulated exercises in moralistic bookkeeping. They wanted religion to be a matter of keeping score. They wanted a religion that they could continue to choreograph. But He came so that we might have life, and have it more abundantly. He came so that we might be inundated by His grace. He came to destroy the works of pious fidgeters and grim accusers forever. And so He was falsely accused. He was railroaded in an illegal trial, held in the middle of the night. He was slandered by contradictory witnesses. He was falsely accused so that we might not be truly accused. He was illegally condemned so that we might not be legally condemned. He was slandered by false witnesses so that we might not be justly condemned by the truest witnesses who ever lived. As a result of this sham trial, He was forced to carry the cross piece of his own gibbet to the place of His horrific execution. Nails were driven through His hands and feet, and the cross was then erected, with Him on it. He had been previously flogged, and a crown of thorns had been jammed down upon His head. His beard had been pulled out, as Isaiah tells us, and He was beaten with a reed. He was mocked and spat upon. But the final catastrophe, the great catastrophe—the catastrophe which is our salvation—was the fact that His Father deserted Him, turning His back on this faithful servant. When Peter denied Him, that was a grief. But when the Father did it . . . ! “And about the ninth hour Jesus cried with a loud voice, saying, Eli, Eli, lama sabachthani? that is to say, My God, my God, why hast thou forsaken me?” (Matt. 27:46). And in that cry of godly despair, in that cry of holy forsakenness, we are privileged to find light, glory, and everlasting sweetness. But how is it possible that we can look at black despair and see everlasting sweetness? How can we gaze straight at God’s fury and wrath with sin and see there God’s tender compassion, offered to sinners? The word the Scriptures use for this is propitiation. “Herein is love, not that we loved God, but that he loved us, and sent his Son to be the propitiation for our sins” (1 John 4:10). When it says that Jesus was the propitiation for our sins, this particular word means that He is the one who took the blow of God’s wrath. That which was hurtling toward us—the fury of God Himself—struck Jesus and in striking Him struck us as represented in Him. “For he hath made him to be sin for us, who knew no sin; that we might be made the righteousness of God in him” (2 Cor. 5:21). “Christ hath redeemed us from the curse of the law, being made a curse for us: for it is written, Cursed is every one that hangeth on a tree” (Gal. 3:13). In this moment we have the ultimate and final juxtaposition. In the cross, we see the pure hatred of God for sin, and in the cross, we see the pure love of God for sinners. In the cross of Jesus, righteous hatred and righteous love have met, and they have kissed. So have you seen the face of Jesus Christ? Do you recognize Him? Remember that the moment where you must see His face is the moment when the sky turned black. You can’t see anything. You cannot see this with your eyes. If you had been there, you could not have seen it with your eyes. That is why this picture, this portrait, is painted for you with the words of the everlasting gospel. So have you seen the face of Jesus Christ? The answer to that question is found in words, the words of the glorious gospel. The answer to that crucial question is found in a number of specific words, words like light, knowledge, glory, face, and Jesus. But all those words, including the very name Jesus, are just mere words—sound waves in the room—without the efficacious work of the Holy Spirit of God. But there is one more thing. We have considered the words that are necessary. We have understood that the Spirit must work His sovereign goodness. What is the third thing we must have? A few verses later, Paul makes it apparent that our calling is to make the life of Jesus Christ manifest, and this brings in the third element we must consider. The first would be the words of the gospel, and the second is the empowerment of the Spirit. The third is the essential ingredient of an earthen vessel. What we need for this spectacular gospel is an unworthy pot to put it in. Our lives are pathetic, weak, feeble. They are the clay pots. And what does this do for us? It puts everything in perspective. For example, this sermon is a clay pot if ever there was one. Flick it with your finger and you will hear that unmistakable tink. But this is also part of God’s intention. Paul argues in this section that if we bear around in the body the dying of Jesus, then the life of Jesus (which would include His face) will be made manifest in our body (2 Cor. 4:10). If we are delivered over to the contempt of death for Jesus’ sake, then the life of Jesus (which would include His face) is painted, sculpted, and made manifest in our mortal flesh (2 Cor. 4:11). This means that our weakness and inability is part of God’s plan. He must mean something by it. Go forth, and take the gospel in power to all the nations. Preach even though your tongue is a brick. Explain blue to a race of blind men. Go out into the cemetery and preach to all the headstones. Ask them to sign a little card so you can follow up with them. Walk out in front of all the principalities and powers, with their armies, and their philosophers, and their universities, and their citadels of power, and their legal traditions, and their artistic traditions. Walk out before them in order to challenge them. Tell them that you want to pull down all of their strongholds. Tell them you are at war with their imaginations. Tell them that every high thing that exalts itself against the knowledge of God is going to begin to sway momentarily, and then it is going to go over with a mighty crash. Tell them that you are going to take all their thoughts captive, and you are going to bring them to Jesus. And when they laugh at you, as Goliath sneered at David, show them the weapons you have brought. You have the gospel in your heart and mouth, you have some water for baptism, and you have bread and wine. Word, water, bread and wine. This is the weakness God uses, and it is mightier than the nations. This is the folly of God, which throws down man’s wisdom. This is a message that needs to be carried in an earthen vessel. How is this possible? What kind of sense does it make? It comes together in sense because we have been given the spirit of faith, the kind of faith that is shown to us in Scripture (2 Cor. 4:13), the kind of faith that only the Spirit can generate. We believe, and therefore we speak. When we speak these words of life, therefore, it is the triad of gospel, Spirit, and weakness. That combination is potent. That combination conquers the world by throwing its death down to the grave and resurrecting it. And because of how God in His wisdom determined for it to happen, almost no one knows how it happened. After it has happened, scholars rush in to explain it in acceptable categories. “While we look not at the things which are seen, but at the things which are not seen: for the things which are seen are temporal; but the things which are not seen are eternal” (2 Cor. 4:18). So then, what shall we do with all this? 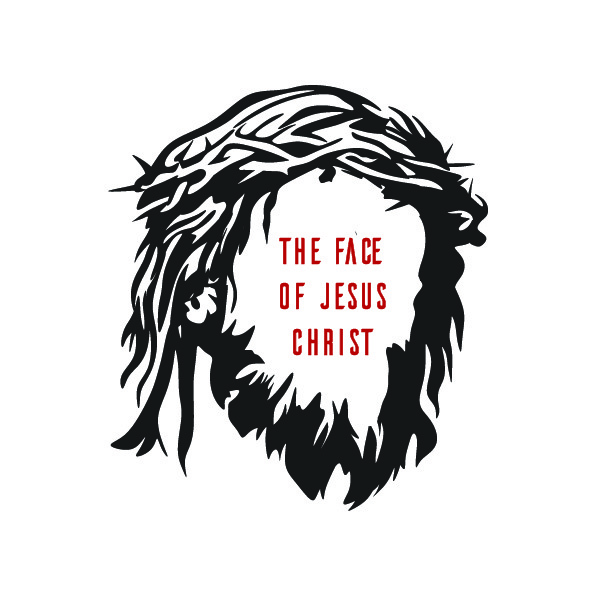 Those who have not seen the face of Jesus Christ fall into two categories. The first category is that of a church member, the professing Christian who is not a true Christian. His lips are more than willing to say many of the things I have said here today, but his heart is far away from God. The second category is that of the out and out pagan, the one who does not profess faith in Jesus at any level. He is outside the Church, and is more than willing to keep it that way. Let me speak to these two types of individuals in turn, in that order. First, let me speak to the church member who bears the name of Jesus—although he bears it in vain. Let me speak to the one who embraces the form of religion but denies the power of it. This message, these words, this gospel, is heavenly manna. It is the bread of life, the food of angels. Shall we take this gift, and sin against God while that manna is still in our mouths? The church of Jesus is thought by many to be a superb place to hide from God. He will never think of looking here! It has been observed that there are more liars standing behind hymnals than anywhere else. Whether that is generally true or not, is it true in your case? Do you mumble along, for lack of anything better to do? Do you do the drill, kneeling to confess, but not in your heart? Do you say the creed because everybody else is doing it and so you might as well? Look. The ordinances of God are before you. The means of grace are a mountain range rich with gems and precious metals. Come to these ordinances—the preaching of Christ, the sacraments, the Scriptures, the music—and you are invited to dig out all the salvation you want. Christ is here. Meet with Him. Meditate on what we have been saying and seek His face. Why are you here? Seek His face. “Seek the Lord, and his strength: Seek his face evermore” (Ps. 105:4). This is everything. What will it profit you if you gain every last external thing that the Church contains but fall short of this? The great Puritan Thomas Watson once said that “in the Word we hear God’s voice, in the sacrament we have his kiss.” You may have the name of Christian, but there is one more thing that is needed. You must seek and see the face of Jesus Christ. Those who are without God and without hope in the world are also in a pitiable condition. They make their bread with sawdust and not with flour. They mix their wine with dishwater, and not with mountain streams that run down from the grace of God. They have fashioned cisterns for themselves, but they are cisterns that can hold no water. This is the word that is declared to you today. The grace of God is the face of God, and this grace is offered to you as well. Christ is here. Come to Him. His messengers are authorized—no, more than that, they are required—to plead with you. Be reconciled to God. Come. Seek His face, so that you may look in His eyes. If you do this, you will find nothing in those eyes but mercy and forgiveness. Do you not need mercy and forgiveness? When men turn away from the grace of God, as it is freely offered here, they are turning away from the light of the knowledge of the glory of God in the face of Jesus Christ. They are turning away from Him. And it is not possible to turn away from such light without simultaneously turning toward the outer darkness. The darkness of unbelief, the darkness that grips the lost now, is a darkness that the gospel can suddenly illumine. This present darkness is the canvas upon which God is often pleased to paint with His gospel light. But the outer darkness is a sealed darkness, a darkness into which no light will ever come. That darkness is infinitely just, and it is locked away from the presence of the Lord forever. It is an irreversible darkness; it is a world in which a sun will never rise. However great the ocean of damnation is, you may depend upon it—there will not be a drop of injustice anywhere in it. If you insist upon going there, do you think that you will ever reflect on this moment, on this time? You will have no invitation in your hand then. Do you think you will remember this day, when the invitation was in your hand? And when you looked down on that hand, you saw that it was trembling. This is the moment for you. Today if you hear His voice, do not harden your heart. Nothing to lose but your self. Nothing to lose but your sins. Nothing to lose but your guilt. The alternative is wonderful. The river of pleasure at God’s right hand—where the gospel brings us—is a river that cannot run dry. We will never see that riverbed dry. There will never be a heavenly drought. Our tears will certainly be dried, but the river of God’s everlasting pleasure will never run dry. That river runs, the psalmist tells us, at God’s right hand. Scripture also tells us that Jesus is seated at God’s right hand. Jesus is that river of pleasure. So come to the Father, in and through the name of Jesus Christ, in the power of the Holy Spirit. Come to seek the face of God. Come, and seek the face of the Lord Jesus Christ. Behold your God. Behold your salvation. This is the truth of God. This is the gospel truth. In the name of the Father, Son, and Holy Spirit, Amen.